Getting involved with the society is very easy, just turn up to one of our events and say hello. Take a look at our Facebook page for details of our events. If you’ve got any questions you’d like to ask feel free to contact us via our Facebook page. 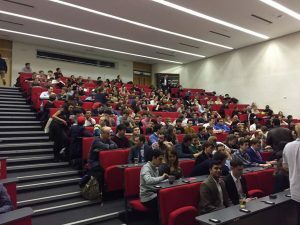 If you would like to attend our events regularly and take advantage of free refreshments then membership is available from the Student’s Union for £7.50.